Praise God that the Bible transport project in Asia is progressing well. Shipments of needed parts have arrived just in time. God is certainly in control! Give thanks that HFA is able to have a stand in the missions display at the upcoming Belgrave Heights Easter Convention. Please pray that people will come to hear what God is doing and that many would be moved to take part in spreading the Gospel. We are very thankful for great working relationships with our Partner Organisations. The body of Christ is reflected in these different groups who have different roles to play in the Kingdom. Praise God that He holds all things in His hands. Please continue to pray for the Bible transport project in Asia. There is still much work to be done by our team and safety and good health is needed. As part of our waterdrone project, two of our staff members are sitting tests for their boat licences this weekend. Please pray as they study and take the test. Please ask for God’s guidance and wisdom as arrangements are made with a Partner Organisation for Gospel work to be done in the Himalaya. Speaking tours are being arranged for the UK in the coming month and then Europe later in the year. Please pray for our speakers as they prepare talks and ask that God will bring people to hear His call to reach the unreached. The Lanoh are one of the nineteen people groups that make up the Orang Asli, the indigenous and oldest inhabitants of Peninsular Malaysia. The Lanoh are mostly dark-skinned and frizzy-haired in appearance. In the past the Lanoh were a nomadic tribe living a hunter-gatherer lifestyle. Today some still gather their daily resources from the jungle and river, whereas others live a more urban lifestyle with paid jobs. The Lanoh are mostly animists and the fear of spirits of dead ancestors and hunted animals is very strong among many of these people. Pray for courage and commitment from the local Malaysian Church to reach the Lanoh with the Gospel. Ask God to open the hearts and minds of the Lanoh people to their need for a saviour. Pray that they will have access to the resources they need to live. 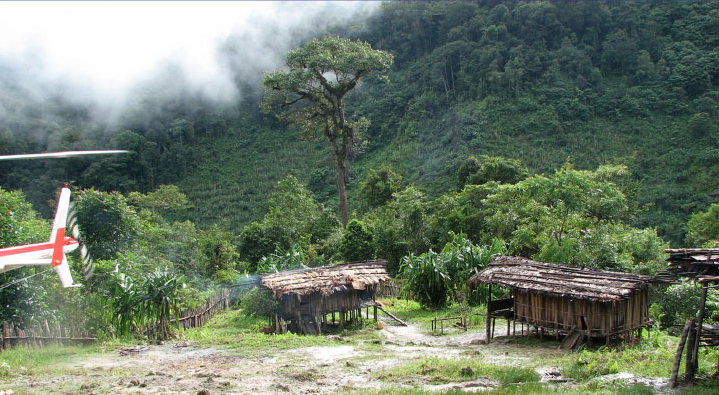 The natural resources of their traditional homeland are becoming more scarce due to logging and other reasons.